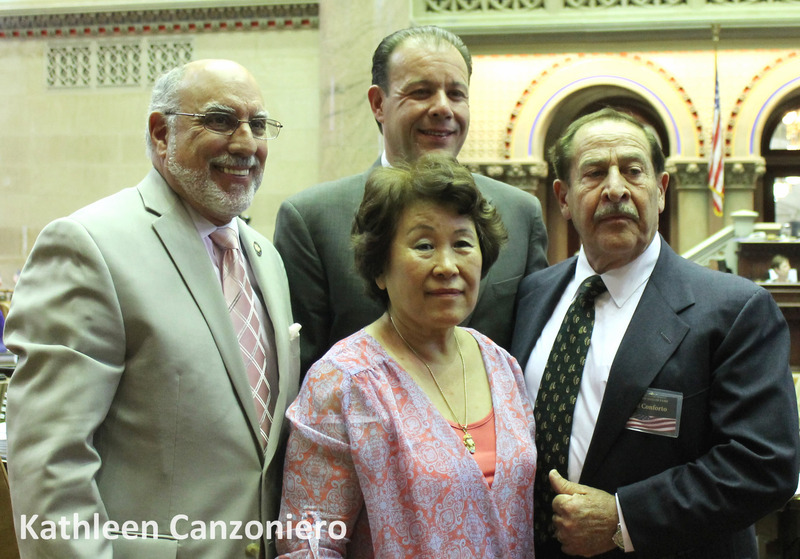 Joining Bronx Chronicle Publisher Sal Conforto among the statewide honorees yesterday, fellow Bronxite Cedric V. Smith was also inducted into the New York State Senate Veterans’ Hall Of Fame. He was nominated by Senator Ruben Diaz Sr.
At one time a homeless and unemployed veteran, Smith has dedicated his life to assisting veterans from all walks of military service integrate back into society, At one time a homeless and unemployed veteran, Mr. Smith has dedicated his life to assisting veterans from all walks of military service integrate back into society, currently working at he Bedford-Stuyvesant Restoration Corporation in Brooklyn, New York. He works in the Social Services Department as the Resource Coordinator in Veterans Services for the Single Stop Veterans Initiative Program, which services veterans and their families. The program is focused on uplifting veterans regardless of their service era or discharge status, helping them and their families to obtain critical assistance and services they need. Before joining the BedStuy team, Mr. Smith also worked at Black Veterans for Social Justice (BVSJ), Inc., for 11 years in various programs that assisted veterans, their families and the surrounding communities. While at BVSJ, he obtained work experience within the following programs: Homeless Veterans Reintegration Program; NYC Works; Jobs to Build On and Small Business Services. Recently, he assisted with the coordination of a Veterans Makeover Project, funded by Heidi Burkhart, President of Dane Professional Consulting Group in New York City. Cedric V. Smith joined the United States Army in November, 1986. He proudly served in active duty until 1989 and then in the United States Army Reserves from 1990 until 1995. His rank at the time of his Honorable Discharge was E4/ Communications Specialist, and he is the recipient of a Good Conduct Medal.